Immigrant vs nonimmigrant visa redirects here. The United States and most other countries offer various classes of entry permits to non-citizens. The two main classes are immigrant and nonimmigrant and they connote the intent of the individual seeking entry and stay in the country. An immigrant is someone from a foreign country who relocates to live in another country. They may or may not be citizens. Non-immigrants move on their own volition for a certain duration but not permanently. Immigrants are subject to the laws of their adopted country. They may only come if they have work or a place to live. Proper documentation is required. Immigrants are usually driven by economic factors, or they want to be close to family. Non-immigrants relocate temporarily to a new country for work or tourism. Immigrants can usually find a home in their new country. Settles in a new country on a non-permanent basis. An immigrant visa is for individuals who want to permanently resettle in the destination country. 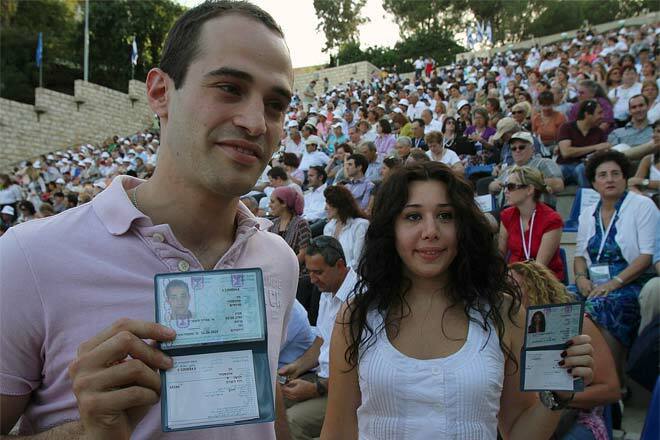 They may or may not want eventual citizenship of the country, although in most cases they do. In the case of an immigrant, the intention of permanent residence is clear and is made known before hand. A nonimmigrant visa is for individuals who want either a short or long-term stay (including a work permit) but do not want permanent residence in the destination country. A non-immigrant may live in the country for several years without any application to permanently resettle. Many people in the nonimmigrant status later apply to change their status to immigrant because they may later want to settle in their adopted country permanently. In the United States, visas such as business or tourist visa, and work visas such as H1B or L1 are nonimmigrant visas. 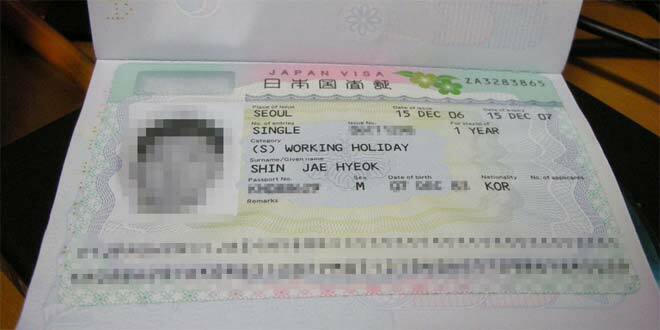 These visas allow people to live and work in the United States for a limited period of time - from 6 months to several years. They also allow people to work in the United States. However, all these visas have a certain validity period and certain limits to how long they can be extended. This is because non-immigrant visas are not to be used for permanent residence. An immigrant visa for the United States is also called a Green Card. This allows the immigrant to live in the United States permanently. It also allows the visa-holder (or green card holder) to leave and re-enter the United States at will, without require any other documentation or visa, just like a citizen would. Immigrant visa holders do not, however, have certain rights such as voting until they apply for and are granted citizenship. 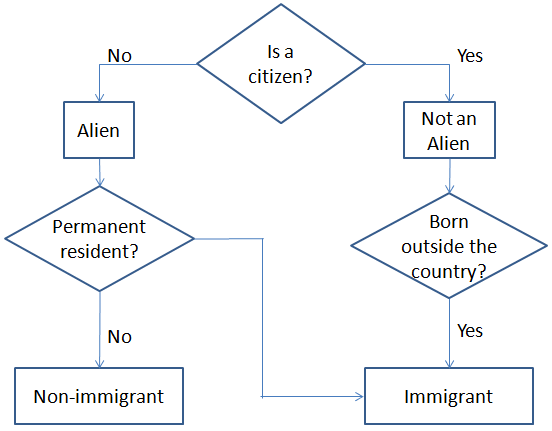 Use this flowchart to decide whether an alien is an immigrant or not.